You can make these large, as shown, smaller, divided among 8 skewers, or mini as appetizers. If you want to serve them in miniature, wrap several small kebabs around each skewer and slide off before serving. 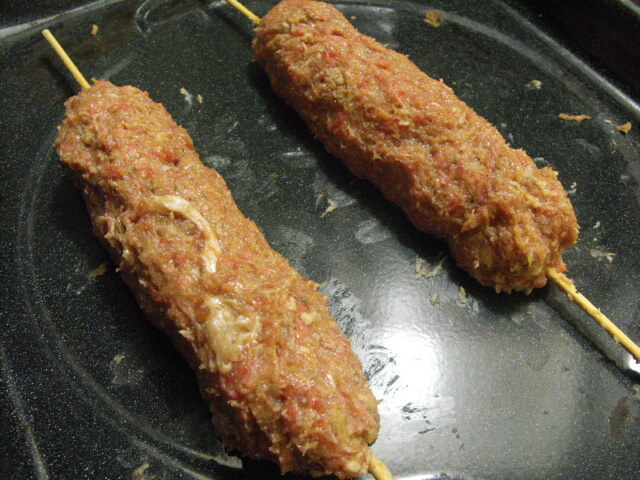 Appetizer sized kebabs would take much less time to cook. 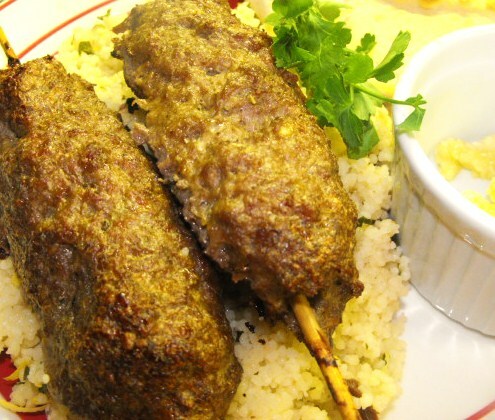 These kebabs would also be delicious served with pita and tzatziki sauce like a gyro. 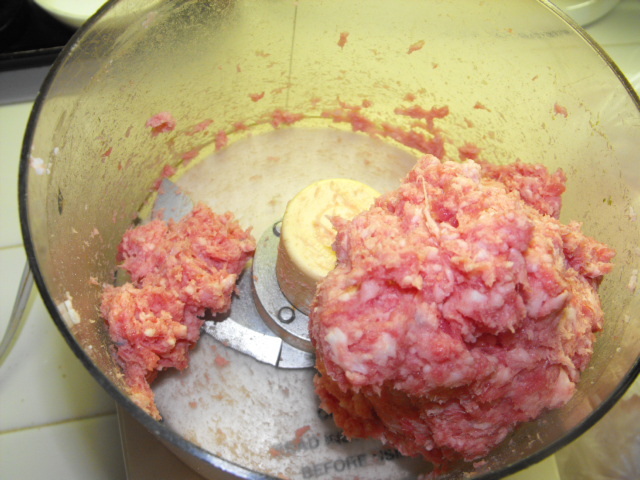 Combine ground lamb with all ingredients but the creamed garlic. Shape around 6 bamboo skewers for larger kababs or 8 bamboo skewers for smaller kababs. 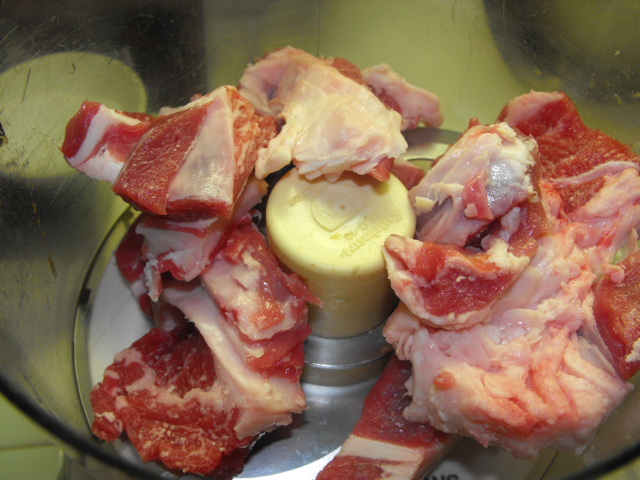 Bake 30 to 45 minutes, until cooked to an internal temperature of at least 160 degrees. Grill to crisp outside if desired. 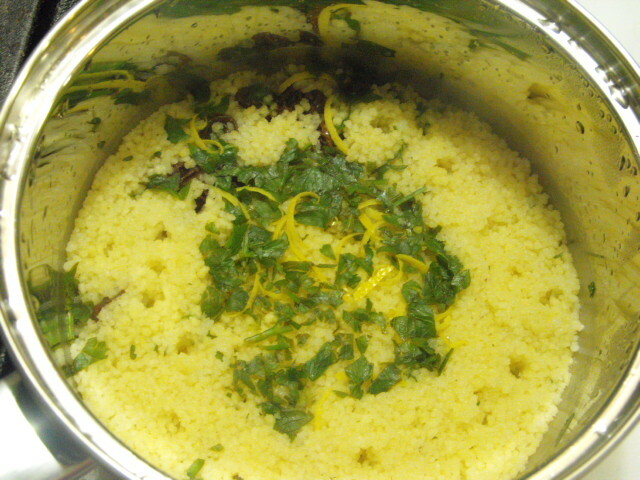 Serve over Lemon Raisin Couscous with a bit of creamed garlic for dipping. 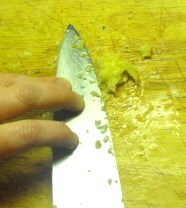 Make creamed garlic by pressing minced garlic with the blade of a chef’s knife with salt repeatedly until garlic is pasty. Serves 3 to 8 depending on how large you make them and how many you serve per person.